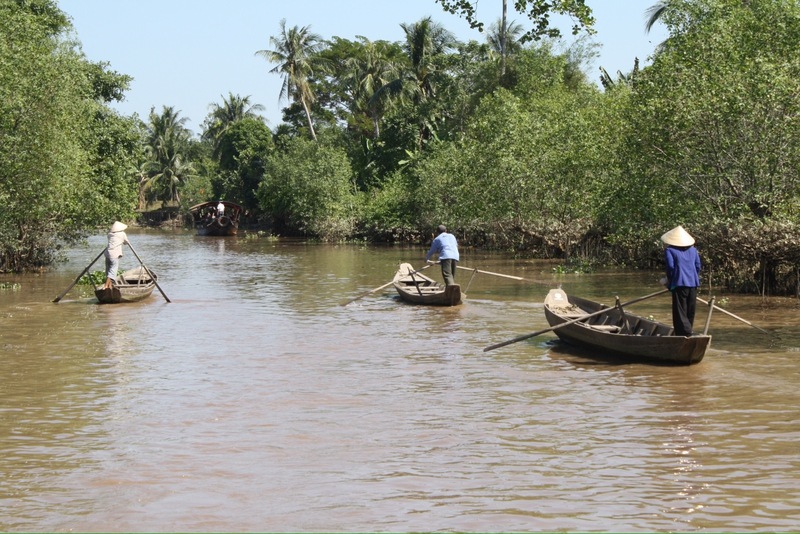 The Mekong River Delta is crisscrossed by canals and tributaries of the Mekong River which has its source in the mountainous regions of China. Most of the villages in the Delta are accessible by canals which act as the “roads” of choice in the region. The water of the the river is brown due to the silt that builds up as the river makes its way to the Great China Sea, but it is this silt which makes the area so lush that the Delta yields enough rice to not only feed the country but to provide a surplus as well.